With the threat of rain always there, the drivers set out to complete their final qualifying laps ahead of tomorrow's race, eager to position themselves as far forward as possible. 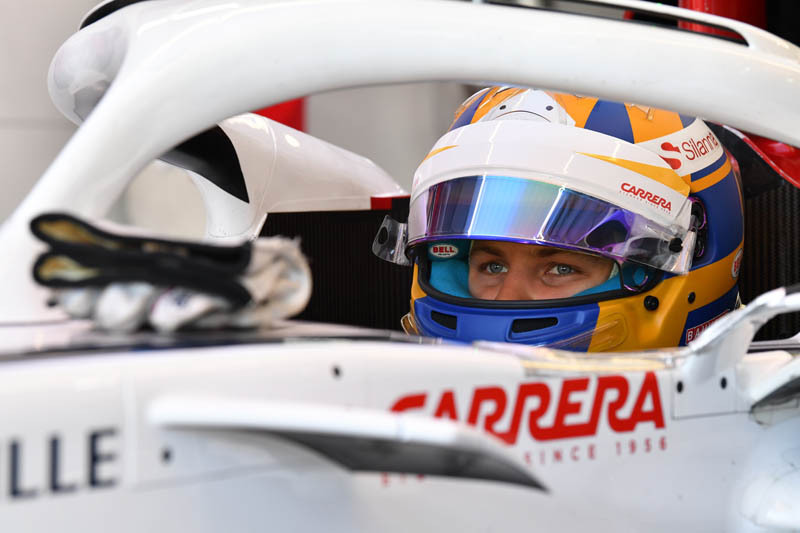 Marcus Ericsson delivered an excellent performance throughout, and finally qualified in 7th, celebrating his best career qualifying, while Charles Leclerc finished the session in 8th place. Marcus Ericsson: "It was a great day for us as a team, with both cars at the top of the midfield – a super performance. I am happy for the whole team and, as for myself, this is the best qualifying I have had in Formula One. I managed to improve in every segment, even in these tricky conditions, and didn't make any mistakes. The car felt good and it is just great to deliver such a result for the team. With Charles just behind we have great starting positions for tomorrow, and I look forward to the race where we will aim to score some good points." Charles Leclerc: "What an amazing day for the team. Qualifying as best of the rest, with both cars having such strong results is an incredible achievement that we should all be proud of. I was very happy with my lap at the end of Q2, a bit less in Q3. Marcus did an incredible job today, and well done to him."